“Phase one of this party is over and phase two is about to begin and it is my hope that at the end of today, we would have elected a worthy successor to carry on the battle and the leadership struggle of the party. I wish my successor a very best of luck and wish him fair weather and for the rest, we leave to history,” said Chief John Odigie-Oyegun, as he succumbed to the termination of his reign as the All Progressives Congress’ chairman. One man known by many, trusted by a nation in times of democratic tyranny and economic misadventure soon took over from the soft-spoken Oyegun. Oshiomhole’s toga has not changed over the years: nondescript short-sleeved jacket, often carton-coloured or black, and a pair of trousers. It is the same with his fighting spirit. Combative but humane, the former governor of Edo State and ex-Nigeria Labour Congress’ leader is an enduring character in the intriguing plot of a Nigerian story that began in 1914. Slightly built, his physical and mental energy is infectious. Spartan in style, Oshiomhole is the illustration of less is more. He understands the grandeur of beauty and the power of passion. However, Oshiomhole emerged as the APC chairman amidst a conundrum of contradictions and a seeming dip in the fortunes of the ruling party. There are disaffections within and outside the party. The Muhammadu Buhari magical moment is said to be waning as things appear to be falling apart. In all this, political analysts feel that the party’s current chairman does not have the temperament to steer the APC ship from hitting the rocks. It is all too easy, others have argued, to characterise Oshiomhole as a man that acts on impulse. His supporters will rather say he is methodical – that the former governor has got a fiery feel to his persona. It is that fiery feel that made him one of the most successful labour leaders in Nigerian history. To illustrate: It is said that he presided over the NLC in one of the most turbulent times confronting then-President Olusegun Obasanjo’s administration in respect of the price regime of petroleum products among other issues. He was able to negotiate with the federal government under Obasanjo a 25 per cent wage increase for public sector workers. He vehemently spoke against the neglect of local oil refineries, the reliance on imported gasoline, the attendant increases in the prices of petroleum products under that regime; spearheading strikes and demonstrations against those increases. Dogged and always battle-ready, Oshiomhole became a symbol of purposeful struggle and was soon called to be a part of governance but on his own terms. Fiery yet empathetic, Oshiomhole after winning at the polls and enduring a legal battle to claim his mandate became the governor of Edo State (on November 12, 2008) following the verdict of the Court of Appeal which held that the results of the April 2007 governorship election in the state were massively rigged in favour of the candidate of then-ruling Peoples Democratic Party (PDP), Oserheimen Osunbor. 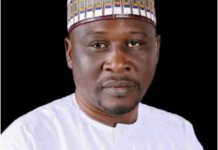 According to political analysts, the APC chairman has many hurdles to cross in the wake of the defection of high-profile politicians like the Senate president, Bukola Saraki, Governor of Sokoto State, Aminu Tambuwal, former Kano State Governor, Rabiu Kwankwaso, state and federal lawmakers from the ruling party. 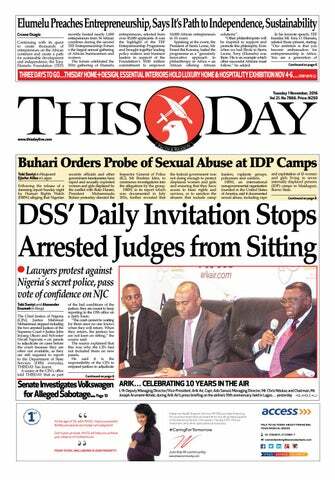 Those who know Oshiomhole claim that he has been crossing hurdles all his life – and most of them successfully. 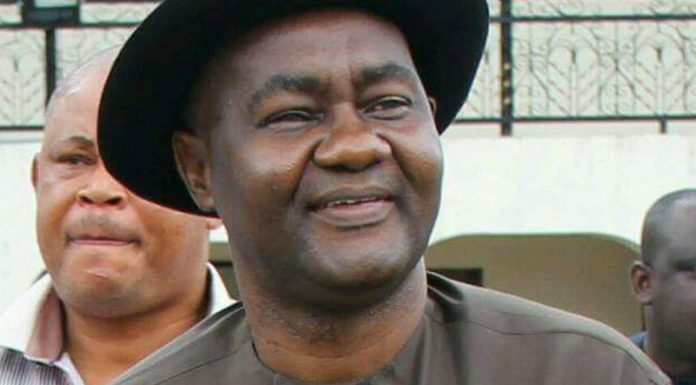 Nonetheless, he has also led his party to win over the likes of former Akwa Ibom State Governor, Godswill Akpabio, former Delta State Governor, Emmanuel Uduaghan, and a host of others. Not a few people acknowledge the strategic capability of the graduate of Economics and Industrial Relations at the Ruskin College, Oxford, United Kingdom. He also attended the National Institute for Policy and Strategic Studies, Kuru, Plateau State. “I recall that each time Oshiomhole faced government officials in a public debate on the then-raging war over fuel subsidy, he combatively made them look inept and stupid. He did his homework; they did not do their homework. 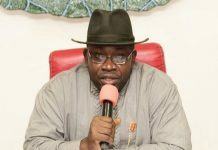 He wisely parlayed his leadership of the NLC into politics and was a two-term governor of his state, Edo. Thanks to his labour leadership, his political sun is on a steady rise. And that is a good thing; a very good thing, I tell you. I welcome Oshiomhole to his new exalted political position. I do so in the fervent hope that he appreciates the enormity of the political burden he has taken on. It is no use pretending about this. The party he now leads stands on a rickety ant-infested platform,” Dan Agbese had said while writing about Oshiomhole. It is apparent Oshiomhole does not come in half measures. So what did the ex-governor achieve? According to political watchers, these are not paid-for public relations statements unlike the assumptions and propaganda being bandied around concerning Oshiomhole. 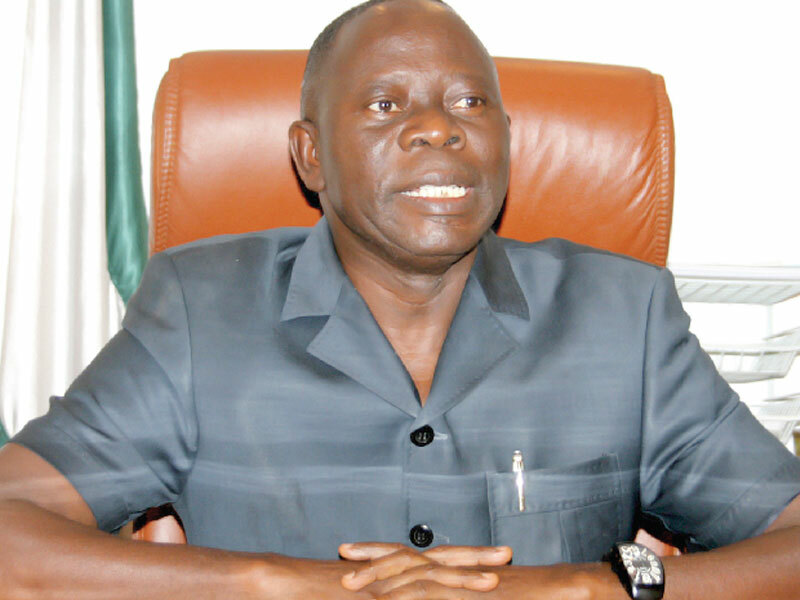 Speaking further on the APC chairman’s tenure as a governor, a political commentator, Erasmus Ikhide had noted: There is no doubt Governor Oshiomhole has laid a solid foundation for the infrastructural deficit state in such a way that subsequent governments after him have no option than to continue to build on his legacies, regarding structural development. Before taking his positive combative disposition to the state, Benin was described as a rustic city. 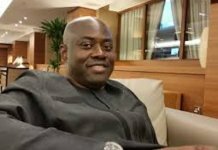 According to Ikhide, it was difficult to navigate freely within and outside the state capital without wasting hours on a daily basis. As a report noted, “Oshiomhole took up the most challenging projects that had defied solutions by colonial, military and civilian governments.” Projects which had been categorised as “impossible” to execute became landmarks. The people of Okpekpe, Imiegba, Igodor, Ososo, Dangbala, Ojah, Anegbette, Evboeghae, Ugo, Urhonigbe, Igueben, Ewohimi, Ewatto, Ohordua, Okhuesan Amiendokhian, Ugboha, Ikhin, Eruere and other hundreds of communities, will not likely forget in a hurry how Oshiomhole turned a geographical disadvantage into economic and social opportunities. His transformation of Okpekpe Road is another evidence of capacity. People can readily recall the sheer scale of the havoc wreaked by erosion in Auchi in the past despite successive state and federal governments’ inability to solve the problem. Oshiomhole took the bull by the horns and eventually rescued Auchi from the quicksand of erosion. 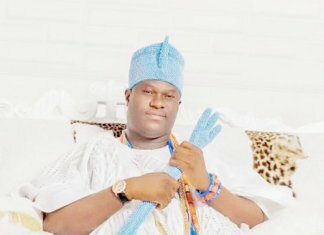 In a similar way, he transformed Esan, providing potable water through the provision of industrial boreholes.